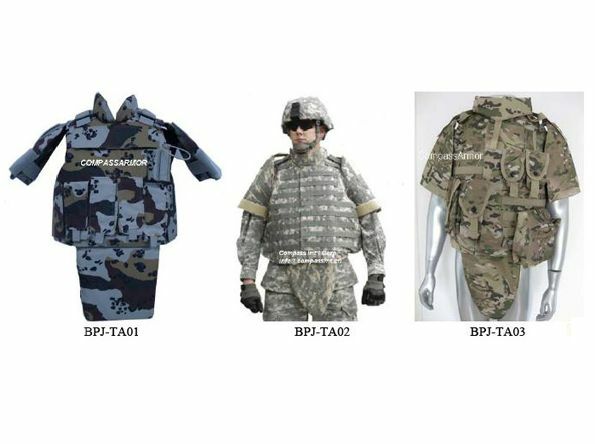 We are the Best Known Manufacturers, Exporters and Suppliers of Tactical Bullet Proof Jacket. Excellent Bulletproof Material is Used in the Fabrication of the Tactical Bulletproof Jackets. We Make Use of High Modulus Pe Fibre Which is Regarded as the Best Ballistic Raw Material. the Material Renders High Strength to the Jacket Thus Providing Ample Protection. Our Technical Research Team in North America Conducts Extensive Research So that Only An Apex Quality Product is Delivered. Our Tactical Bullet Proof Jackets are Qualified with all Levels of Usa Nij0101.04. Size : M L and XL. Protection area : 0.50, 0.55, 0.60sq.m.